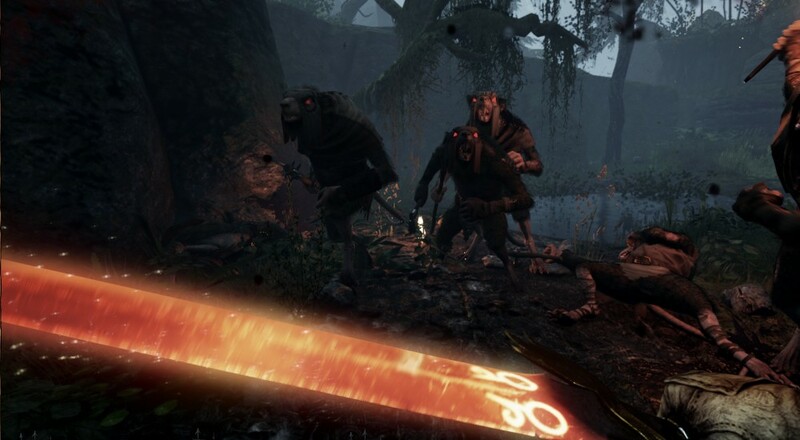 Warhammer: End Times - Vermintide at long last has a release date: October 23, 2015. Granted this only applies to the Steam version of the game, but still! I am a huge fan of the Warhammer universe and have been looking forward to playing a game that is set within it. Fortunately, won't have that much longer to wait and until then, I can enjoy the new gameplay trailer. While the game definitely looks a little dark (which could just be a poorly adjusted setting when the footage was captured), the action appears to be similar to Left 4 Dead, i.e., the four heroes progress along and fight the occasional enemy pack until a swarm of foes comes at them. This could be a good thing if it's executed well. The one aspect that I always enjoyed about L4D is that it let players craft their own stories. I have yet to meet someone who's played that game that doesn't have a "oh, man; let me tell you about this one time in Left 4 Dead" story. Ideally, Warhammer: End Times - Vermintide will enjoy a similar fate. Warhammer: End Times - Vermintide is currently on sale as a "pre-order bonus" for just $26.99 (10% off its nomal price of $29.99). No word on when the Xbox One or PS4 versions will arrive.